Vintage Market Days is a bi-annual tradition at NRS where vendors from all over the country set up shop for the weekend at the ranch. During Vintage Market Days, the NRS Event Center is transformed from a roping arena into a vintage mall with booths of various vendors from all over the country. Vendors feature their own unique products such as clothing, jewelry, foods, household goods and furniture. Some new vendors made their debut during this spring show, while other businesses return for every Vintage Market Days’ weekend at NRS. Among the returning vendors is One Man’s Junk from Portales, New Mexico. One Man’s Junk is a business that repurposes wood products and turns them into unique, one of a kind pieces. Items One Man’s Junk specializes in include barn doors, bedroom furniture and farmhouse tables. Not only are they returning vendors to the NRS Vintage Market Days, they have a unique connection with NRS. The tables that currently stand in the learning center at the saddle shop are products of One Man’s Junk. “NRS is our favorite of the Vintage Market Days,” said Sherri Best with One Man’s Junk. Sherri and her husband, Kent, operate One Man’s Junk together. 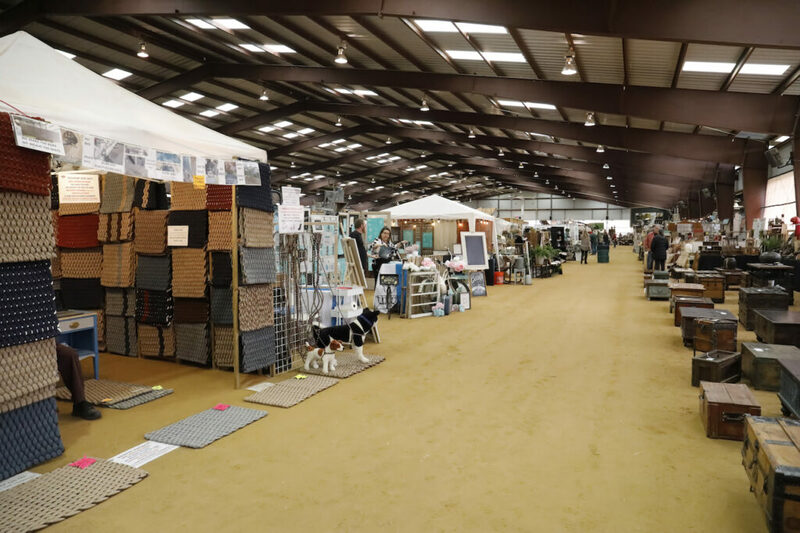 At the spring 2019 show, their stand had a variety of items on display such as chairs, tables, barn doors and even dog beds. One of which is where their own little furry companion parked himself and hung out while Sherri and Kent worked their booth. Stay in the loop on when the next event is happening at NRS and check out the event center calendar at www.nrsevents.com/calendar. Click here to shop the western home decor and household goods NRS has in-store.